The New York State Liquor Authority (NYSLA) recently issued a declaratory ruling in response to a letter sent on behalf of Lot 18, a package store located in Mahopac, New York. Lot 18 advertises their wine club called "Tasting Room" on their website and wrote to the NYSLA to determine whether or not it was permissible to co-brand the wine club with a non-licensed marketing partner. Lot 18 wanted to change the title of the club from "Tasting Room" to "Forbes Wine Club by Lot 18". In addressing the issues presented, the NYSLA focused on a number of different points. First the Liquor Authority noted that Lot 18 holds a valid package store license and operates as a bona fide package store and is therefore legally entitled to engage in direct sales and shipments to customers in New York. Next, the authority noted that all Forbes Wine Club by Lot 18 orders are received, reviewed, and either accepted or rejected at the licensed premises, legally maintained by Lot 18, during lawful time periods. The Board then went on to examine the more challenging issues pertaining to the co-branding and marketing agreement between Lot 18 and Forbes and ultimately concluded that Lot 18 has sole discretion over the wine sold; Lot 18 makes the wine selections, decides the pricing for the wine without any input from Forbes, and ships the wine from its warehouse, which is protected under Lot 18's valid package store license. The role of Forbes is strictly limited to marketing and with the exception of the actual packaging for the bottles, Lot 18 executed all aspects of the sale of the wine. Another important aspect of the agreement between Lot 18 and Forbes that the board gave special attention to was the compensation agreement between the two entities. It was made clear that Forbes will be paid for the marketing services that it provided, in addition to a flat fee for the use of the trade name and for each customer enrolled in the club. Forbes will not be receiving any percentage-based compensation. The Board focused on the contract signed by both parties to determine the realm of responsibility for each. In this case, Forbes was given discretion over marketing while Lot 18 was responsible for matters having to do with the actual bottles of wine. The New York State Liquor Authority concluded that Lot 18's method of operation does not violate the State's Alcoholic Beverage Control Law (ABCL). This declaratory ruling provides guidance for those considering partnerships or the participation of third parties. 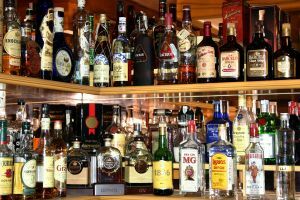 Under these circumstances, operators should expect that the State Liquor Authority will look closely at whether or not the licensee was the party handling the sale and maintenance of the alcohol. If you are facing a partnership issue, or any other liquor license matter in New York, New Jersey, or Connecticut, the liquor licensing attorneys at Rudner & Paleudis, LLC can help you understand your rights and advocate for your interests. To speak with a knowledgeable advocate regarding your case, please contact us today through our website or at (212) 949-0138 in New York City, (914) 220-8270 in White Plains, or (203) 355-3635 in Stamford, Connecticut.